In high school, Austin Rusher quickly realized that he liked working with his hands. 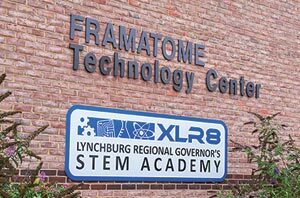 During his junior year at Liberty High School, Rusher enrolled into the XLR8 Lynchburg Regional Governor’s STEM Academy. 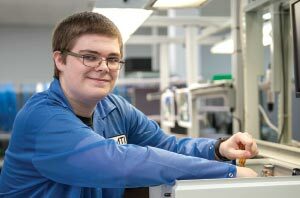 Now, a year after graduating high school, Rusher is currently enrolled at Central Virginia Community College in the mechatronics program while working full-time at Advanced Manufacturing Technology, Inc. (AMTI). Since 2003, AMTI has manufactured high-tech electronic assemblies for the defense, homeland security, telecommunications, energy and commercial electronics vertical markets. With 55 employees, the company is aiming to make an impact on the world of STEM right from Central Virginia. But Hatch said it was more than just opening a new business. He knew there was a need to find quality, talented people dedicated to the STEM field that were trained in the region. Over the last several years, AMTI has partnered with the STEM Academy and CVCC to bring in new talent and show high school students what a career in STEM could look like. Open to juniors and seniors from all over the region, the STEM Academy accepts 25 students each year and has graduated 96 students since it was developed in 2013. 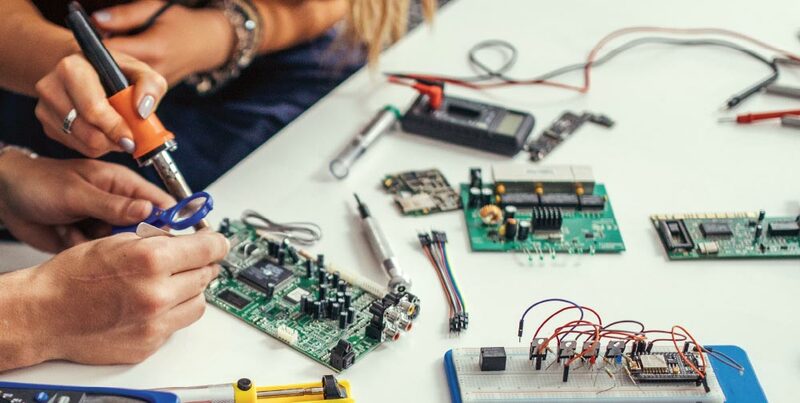 While in the program, students are enrolled in classes on CVCC’s campus where they take courses associated with engineering, mechatronics, biotechnology, health science, and cybersecurity—also earning college credit and earning certification. During their senior year, they must complete a 60-hour internship at one of several placements around the area. A few, like Rusher, have ended up at AMTI. During their AMTI internships, interns aren’t doing coffee runs or sitting behind a desk. Hatch said students learn a variety of different roles at AMTI throughout their placement. Some days they could be down on the factory floor or back in the stock room. But while they’re there, Hatch makes sure they grasp how rewarding a career in STEM can be. It can also help connect the dots in a different way. Rusher said his internship at AMTI helped him realize what he wanted to do as a career. After his internship, Rusher was hired at AMTI just a few weeks before graduating high school. Hatch said they also work with all their college-age students so they have a chance to not only attend classes, but also work full time in their field of study. AMTI also offers tuition assistance. For STEM Academy graduate and AMTI employee Dustin Cox, having had the chance to pursue a career while still in high school made a huge impact. 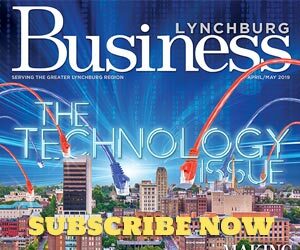 Cox said the experience also showed him how many companies and STEM firms call the Lynchburg region home. And many of these firms are actively searching to find the next great talent. “My teachers at the STEM Academy told me that there are people reaching out and asking for people that know the stuff they were teaching us,” Rusher said. Hatch believes the program could lead to even more opportunities in the region—by helping companies grow or, hopefully, the creation of new high-tech businesses.